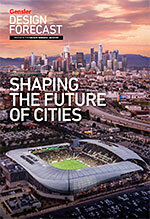 Making cities healthy is essential to urban planning today. There is no avoiding the research proving how planning impacts our health and quality of life — and how those in turn impact the quality of our cities. At work, holistic well-being is becoming a key metric for higher-performing workplaces. Implementing wellness programs that encourage mental well-being, fitness, and outdoor access decreases sick days and boosts happiness and productivity. For the spaces in between, green spaces are on the rise, boosting the livability and health of our urban environments. Willowbrook seeks to transform medical care and health services in its South Los Angeles community through a focus on the current public health epidemics of diabetes and obesity. People expect easy access to basic healthcare services, but increasingly they also want to maintain their health while still well, not only when responding to a health emergency. To incorporate wellness into their daily lives, people need access to on-demand information, extended hours, convenient locations, walk-in appointments, affordable services, and — more than ever — transparent pricing. As people become more accustomed to and demanding of convenience and flexibility, healthcare providers are responding by designing spaces tailored to specific services. 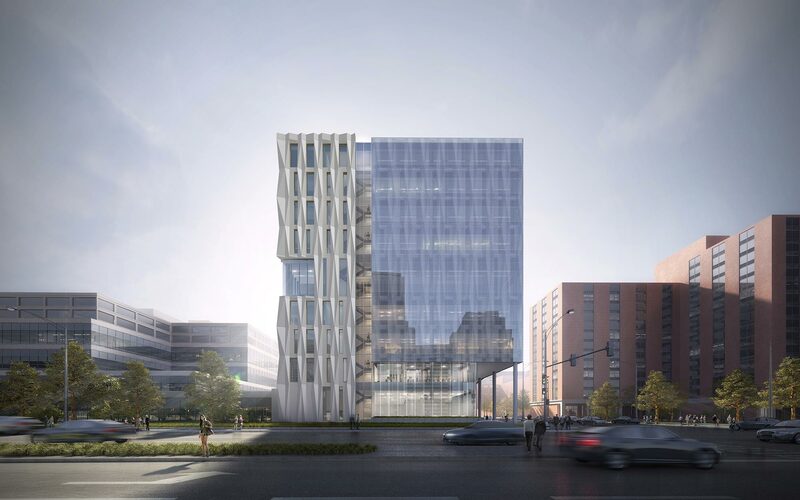 This new hospital will push the boundaries of existing care models and support Acibadem's business and patient care model. 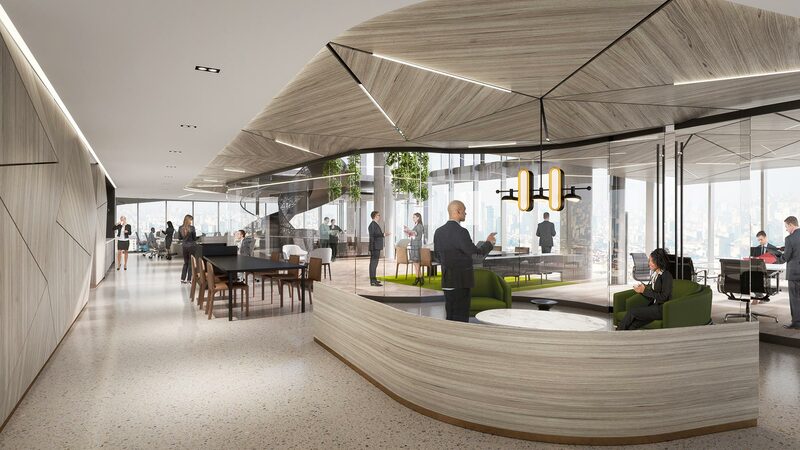 It will also promote wellness and comfort in a healing environment. Between telemedicine and the explosion of health-tracking apps and devices, consumers not only have more access to health information, but also have platforms through which they can monitor and address health concerns on their own. That dispersion and individualization mean the places where people seek care will likewise become more varied and specific. This property appeals to a new demographic with an emphasis on hospitality-style offerings that create opportunities for not only fitness, but also social gatherings, business events, and networking activities. Global wellness is one of the fastest growing industries, currently estimated at $3.7 trillion. 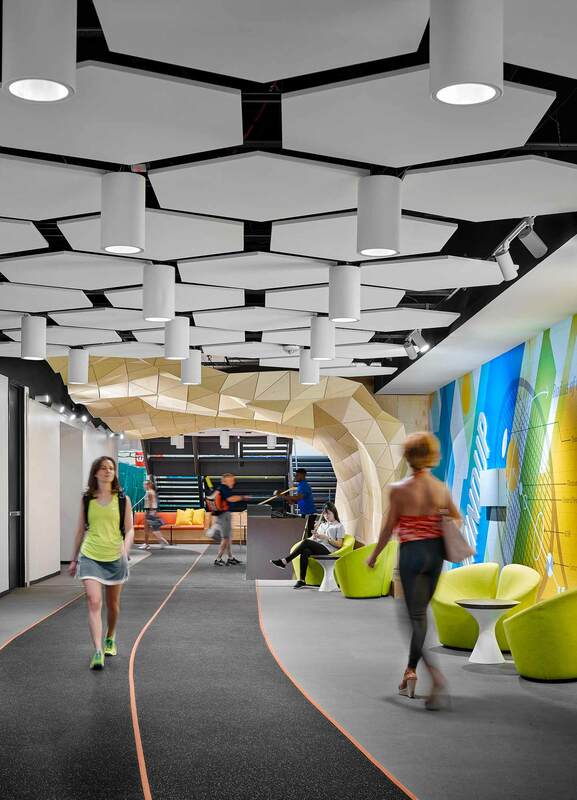 A focus on wellness is driving healthier solutions in the built environment. Wearables and big data will also allow healthcare systems to gather information about people’s bodies, physiology, and health outside healthcare settings. Wearables may make their way back into the hospital, eliminating hardware and allowing facilities to be more agile. 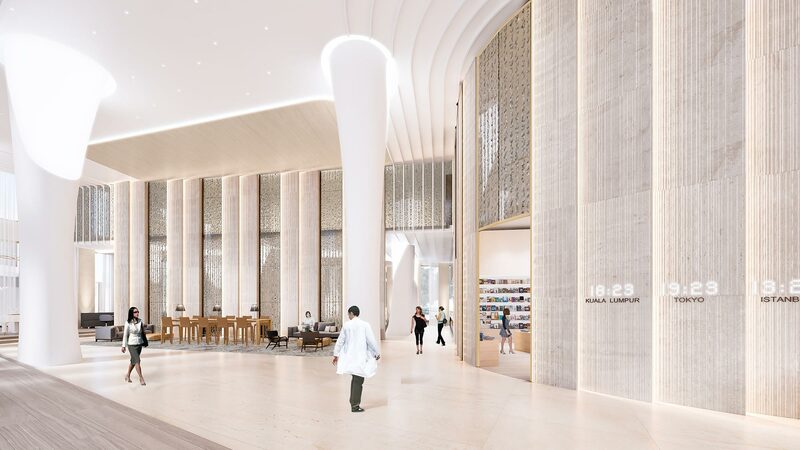 This space expresses Acibadem's position as a world-class hospital that is transforming the landscape of healthcare in Turkey with high-tech and human-centered innovations. Employee turnover in the healthcare industry is costly, and burnout is frequent. To change that, leading healthcare systems are making well-being a priority, incorporating spaces for recharge. Well-being in the workplace not only improves health outcomes, it adds up. Companies with healthy and happy employees are twice as innovative, and every dollar invested in workplace health initiatives results in a twofold increase in returns, reports Gallup. 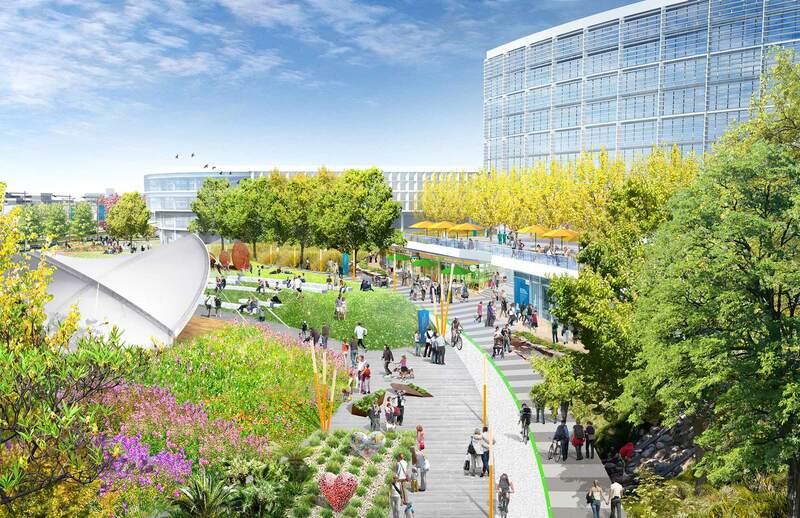 Cook County Health and Hospital System's new community-focused facility. Getting to the root of health points beyond the hospital and into the communities and the daily lives of patients. Health systems are investing in programs that support the well-being of would-be patients in their daily lives. Housing is the linchpin of well-being: affordable, accessible, and well-located housing is central to quality of life for people of all ages, but especially for older adults. 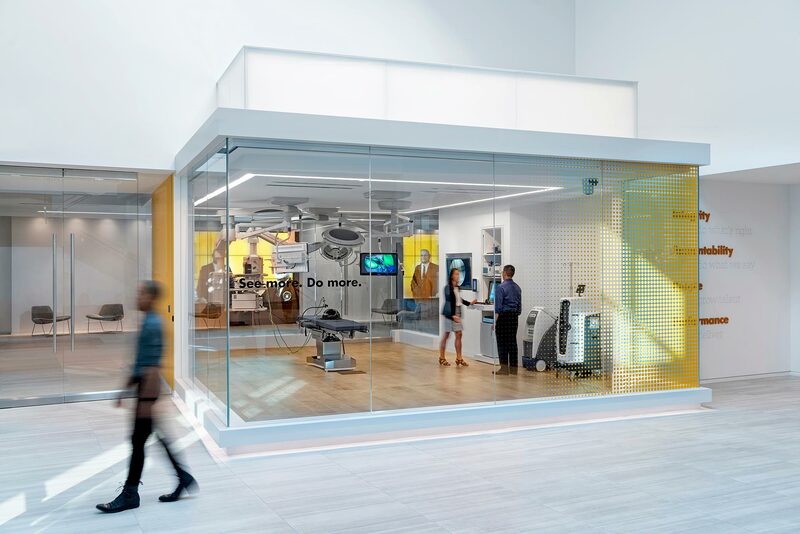 Stryker Endoscopy's West Coast Client Experience Center showcases the company's newest medical devices and demonstrates their forward-thinking approach to creating revolutionary advances in the industry. Health systems are increasingly focused on offering outpatient care and reducing costly inpatient “sick” care. Distributing health services throughout the community is one way healthcare providers can increase access for patients and families. Telemedicine and remote monitoring are among newer technologies being offered by providers for similar reasons.